So You Want to Learn the Oil Pastel Technique? Curious about oil pastels? I've got good news for you: you don't have to know every oil pastel technique in order to create satisfying works. With just a few basic methods, it is possible to jump right in and start exploring this exciting medium. A bit of practice and you'll soon be proficient. If you keep experimenting, you'll be able to push this exciting medium to its limits and create some amazing art. In working with oil pastels, there are two things to keep in mind: the roughness of the surface on which you are painting and the pressure of the strokes. The rougher the surface, the more broken the colors become. A smoother texture will result a less broken look. Applying more pressure to your strokes increases the intensity of the colors. Increasing pressure also leads to less broken colors in the finished work. 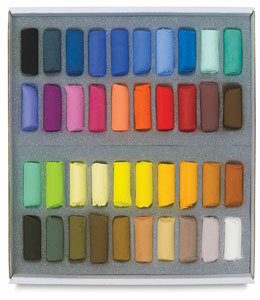 Use the sides of your oil pastel sticks to cover large masses of the painting. Experiment with different stroke pressures to vary the color density and achieve different effects. Use your judgment and have fun. If a stick breaks, save the broken pieces. Use linear strokes for hatching, cross hatching, making outlines or adding details. Again, the pressure is the key to control the intensity of the colors. I use this particular oil pastel technique heavily in my works because it allows me to have better control of the shapes and saturation of the colors. You may find this technique easy for you if you already know how to paint with dry soft pastels. If you want to keep an area extremely dark or light, it is important to only use colors of like tone in those areas. Don't try to tint darker colors with lighter ones (or vice versa). I have learned that, as with chalk pastels, the dark colors can easily become lighter than you want and are hard to make darker again once you lighten them up. For a dark area that has become muddied with light pigments, you can scrape off the unwanted pigments and reapply the dark colors. But with light colors, if you try to scrape off a region and rework it, you will find that the dark areas underneath still show through. For this reason, some oil pastel artists suggest covering the scraped area with white pastel first. Use turpentine to create washes. 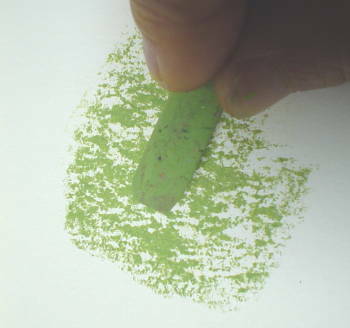 I have used this oil pastel technique many times to either soften or flatten a section of my painting. Another use for turpentine is to blend the oil pastels together on the paper. If you dip oil pastels into turpentine, they start to dissolve and become very soft. Then you can use the softened sticks for smooth passages. 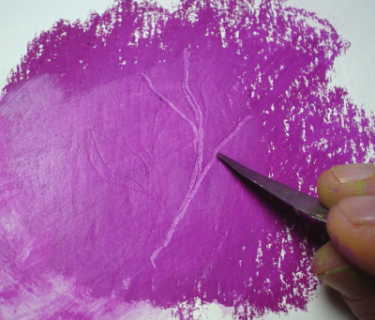 You can also wet a brush with turpentine and use that to drag the pastel pigments across the surface. These washes look like watercolor washes, but they dry faster. Multiple layers of washes can be created this way. 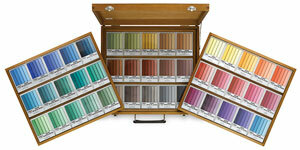 You can control the intensity of the colors by varying the amount of solvent you use. 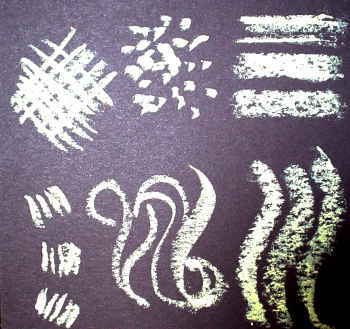 Use a palette knife or a razor blade to create a 'sgraffito' effect (the word is Italian, and it means incising). You can also use soft lead pencils, colored pencils for this purpose. This technique is great for creating fur-like textures on animals. Scrape areas with a razor to create a ghostlike or fuzzy look. As you add layers of oil pastels on top of each other, the painting can begin to look too heavy. Scraping off a region before adding more pigment allows you to avoid this problem while still adding layers. 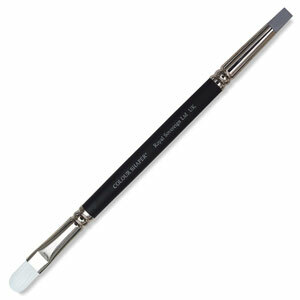 Just as a painting knife is important for an oil painter, so a razor is the oil pastel artist's friend. Done with the oil pastel technique and ready to learn more about this medium? Why wait? You can improve your drawing tremendously with this tool! You can't do without the handy blender when oil pastelling!